water-related disease, and the destruction of our natural world all threaten the purity and availability of our most precious resource. Despite the pressing nature of these threats, water institutions and policymakers have, so far, been largely unable to develop the tools and approaches needed to address these problems. An estimated 1.2 billion people do not have access to clean drinking water. Lack of clean drinking water leads to nearly 250 million cases of water-related disease each year and between 5 and 10 million deaths. Global warming will likely have major impacts on the world’s freshwater resources. Some areas will suffer more frequent and severe droughts; other places will face more frequent and severe floods. More water is drawn each day in the United States to cool power plants than for any other purpose. Diarrhea killed more children in the last decade, nearly 2 million a year in developing countries , than all armed conflicts since the Second World War. Water pollution is a very serious threat to the world’s water and gas drilling using hydraulic fracturing is a major contributor to water pollution and contamination. Gas drilling using hydraulic fracturing requires 3-9 million gallons of water for each well. 40,000 lbs. of toxic chemicals are added to every 1 million gallons of water used to create fracking fluid translating to 120,000 – 360,000 lbs. of toxic chemicals per well. 60-80% of the toxic fluids injected underground, remain underground where they can contaminate the aquifers that provide us with safe drinking water. 20-40% of fluid that is recovered from the ground, not only contains the toxic chemicals drilling companies added, but also can contain levels of radiation over 1,000 times the EPA’s standard for drinking water. Recovered fluids that are stored in above or underground tanks are at risk of leeching into the environment. Recovered fracking fluids are sent to sewage treatment plants that are not designed to process their chemical and radioactive load. This fluid is then discharged into local waterways and drinking supplies. Highly salted water, known as “production brine,” seeps to the surface from gas wells and is 5x saltier than seawater. Solutions with salt concentrations this high damage water treatment facilities and can completely destroy freshwater ecosystems. 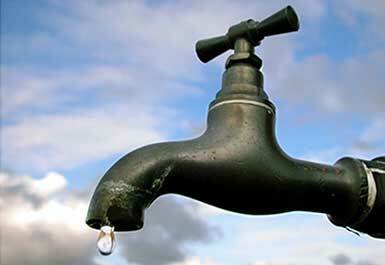 · An estimated 1.2 billion people do not have access to clean drinking water. Lack of clean drinking water leads to nearly 250 million cases of water-related disease each year and between 5 and 10 million deaths. · In the past century over half of all wetlands on the planet have been lost to development and conversion. Wetlands are important to the health of natural systems and people because they act as filters and flood buffers. · Water pollution is a serious threat to the world’s water. Microbes, salts, and pollution from agriculture and industry all contribute to the problem. · Communities around the nation are experimenting with water privatization including: Lee County, Florida; Atlanta, Georgia; New Orleans; Jersey City, New Jersey; Chattanooga, Tennessee; Peoria, Illinois. · 14.8 billion gallons of bottled water (57 billion liters) were sold worldwide in 1996 and sales of over 37 billion gallons (143 billion liters) are expected by 2006. · Many technologies that are already available can help us save enough water to hedge against climate change and reduce stress on threatened natural resources while still allowing us to meet our needs for agricultural, industrial, and residential use. · By 2020, enough water can be saved from indoor residential uses alone to meet the needs of over 5 million people. · Proper irrigation can save another 450 thousand-acre-feet (KAF) of water per year. This is enough to satisfy the needs of another 3.6 million people (1 acre-foot supplies two households of four people for a year).